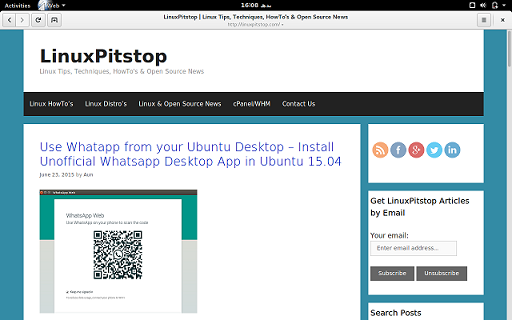 Epiphany is a well known browser for GNOME desktop environment, while GNOME team is busy preparing the launch of upcoming GNOME 3.17, this awesome tiny browser got updates and revamp as well. 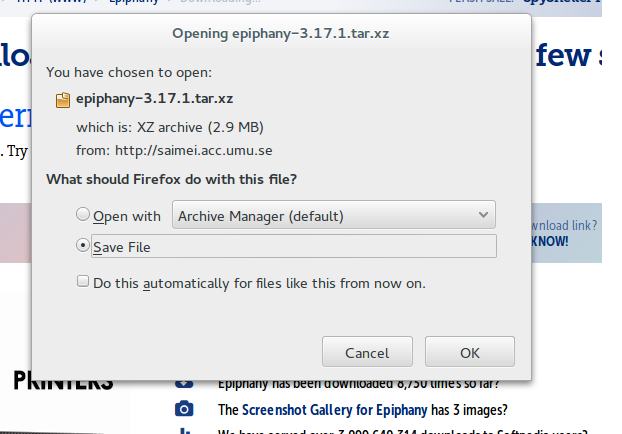 Many new features have been added to this browser and Epiphany 3.17.1 beta is available for download and testing. In this article, we will be focusing our discussion on this noteworthy features and installation process of this new version. Disclaimer: Kindly note that it is beta release, so it might have any unforeseen or unknown bugs, beta release is not recommended to install on production systems. Along-with new GNOME, Epiphany also received important updates, the new beta release has following important features. The most important feature is that new version lets users open links in a new incognito window. Once download process is complete, go to your terminal window and run following command to extract the downloaded file. Run following command to start the install process. Its source installation method, so we will need to use all three component – configure, make and make install. And that’s all, it should complete the installation of Epiphany 3.17.1 . Launch it from Applications menu or mark it to your favorite list. Start enjoying New Epiphany. The stable release of this app will be part of new GNOME. Epiphany is small, lightweight, and fast web browser for GNOME lovers. Although, not as feature rich as other available alternatives, but it is fast and fulfills the basic needs of web browsing. Hope to see it working stable in GNOME 3.17 and 3.18.